The sign reads: ‘Self-Guided Eco-Tours No Charge’ and in deed it is! 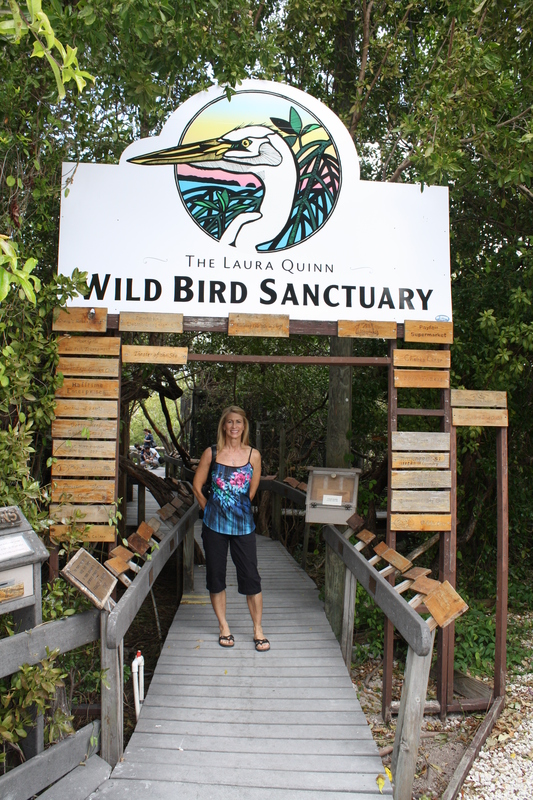 I’m here at the Florida Key’s Wild Bird Sanctuary also known as the Wild Bird Center. You can find this hidden FREE gem at Mile Marker 93.8 on the right side of the road of US-1 South towards Key West. 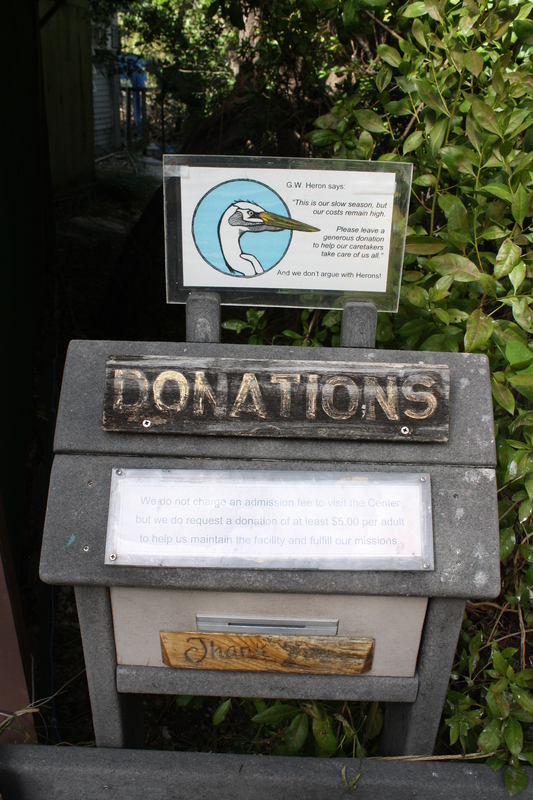 The sanctuary is open to the public and is advertised on the sign on US-1 as FREE to the public and officially it is although they request that you make a donation (as seen below) upon entering or exiting. Since first pulling into the parking lot for a quick photo several years ago, I’ve put off touring the facility on purpose till my better half could join me for an unbiased view… and the votes are in, “Two Thumbs Up!” It’s worth FREE and double worth a donation of what ever you can afford! I love FREE but when ever I have a chance to further a good cause for something worth while I always try to support it… if not, it would be there the next time if you don’t. So drop on by to see the birds, pelicans, owls and other birds of south Florida while you still can. 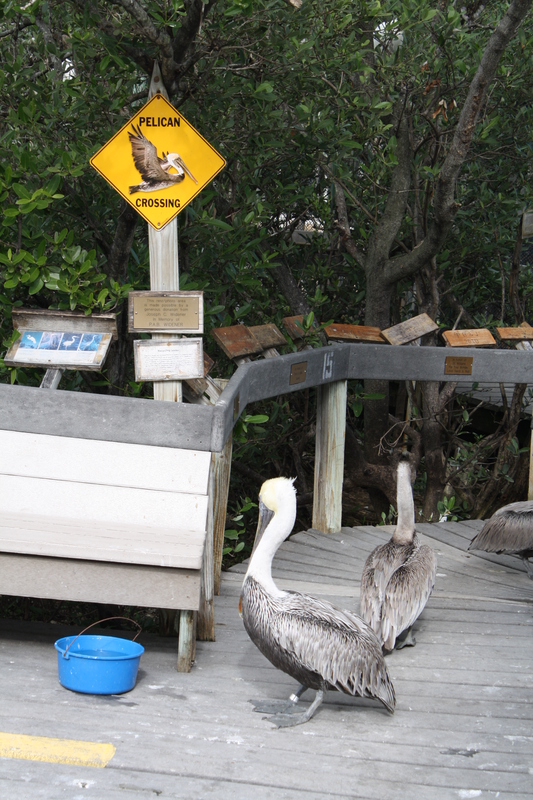 Besides, where else could you see a ‘Pelican Crossing’ sign with an actual Pelican walking in front of it! 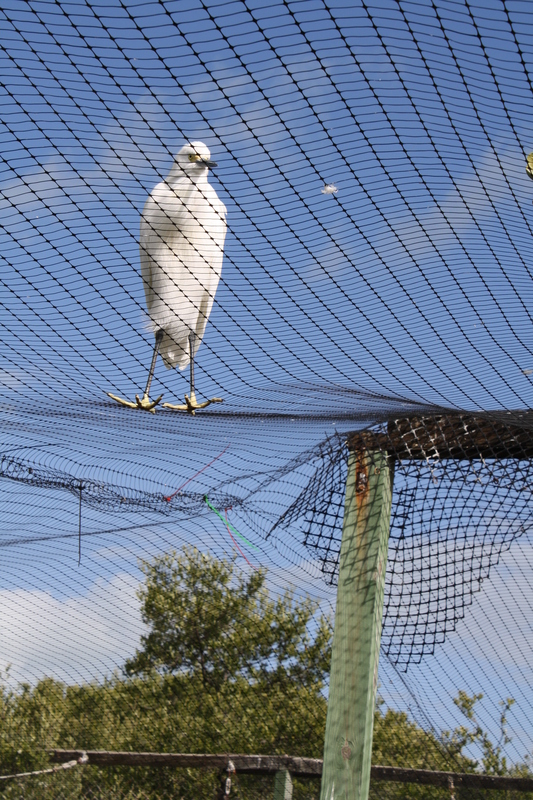 The bottom right hand photo is so cute but needs some explanation: The wild free bird is standing on top of the exhibit cage of the same type of captured birds looking down at them as in saying “He dudes, how come you all can’t come out here and fly around like the rest of us?”.